Fall is finally in the air here in South Texas! 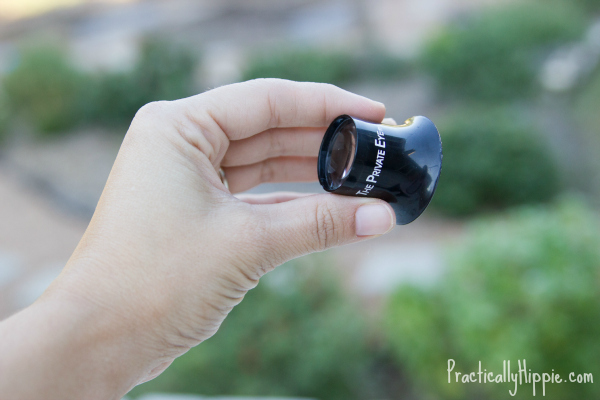 We’ve had a few days of cooler weather and although it was in the mid-80s today, I’m hoping that the sweltering temperatures are gone for good so we can spend more of our days outside. I’ve been inspired by Charlotte Mason and her educational philosophies since I read “For The Children’s Sake” and I’ve been trying to embrace her methods in our homeschool preschool. Charlotte Mason believed children should spend time outdoors for four, five or even six hours each day. In today’s world, that sounds impossible with so many distractions pulling us to stay indoors. But I agree with the premise that children need time and space to explore and learn about the world for themselves. We’ve been spending several hours a day outside, and it’s amazing watching my children play and learn in their own way. As the change of seasons is upon us, my four year old is noticing all of the exciting things that autumn brings. She’s continually asking questions and wanting to learn without me ever having to decide what to teach her. The world is an exciting place! I want to embrace these questions and use them as opportunities to share my knowledge, discover new things together and instill a lifelong love of learning. 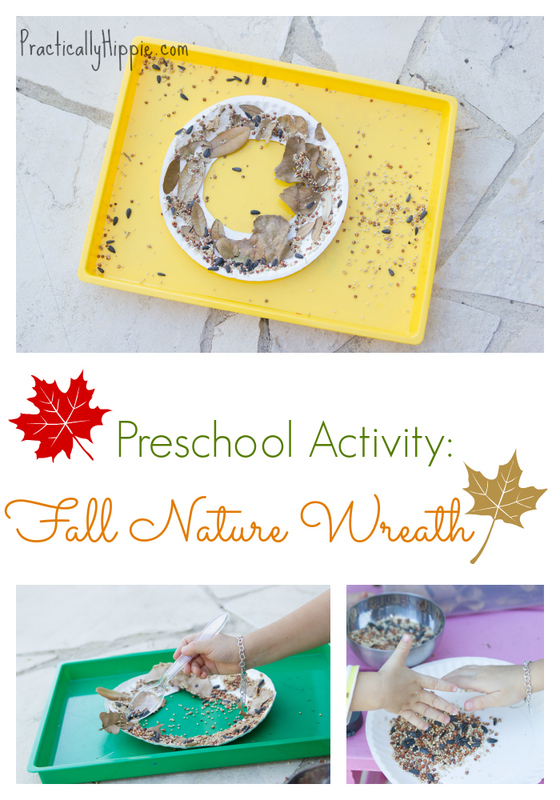 We’ve been collecting leaves while playing in our yard and on nature hikes for the past few days and used them for a fall nature wreath preschool activity. My kids loved getting to squeeze glue onto the plate, choose their favorite leaves and sprinkling birdseed on the finished product. 1. Fold paper plate in half and cut out the center circle to make a wreath shape. 2. Cut or punch a hole near the edge and tie a ribbon through it for hanging. 3. Glue leaves, acorns, sticks, rocks or anything else found in nature to the plate. 3. Sprinkle birdseed over leaves to fill in any open space. While doing this activity, we discussed the different types of leaves we had collected. 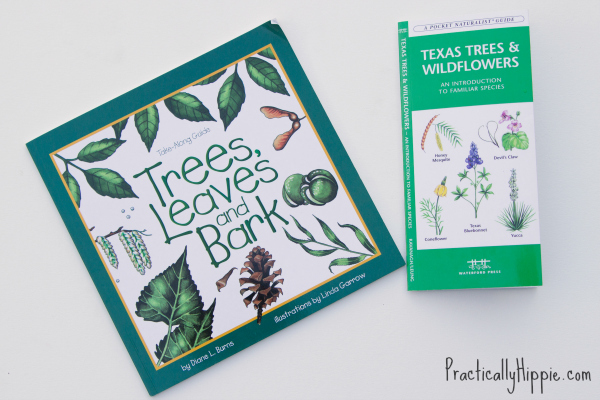 We have a set of take-along nature guidebooks that we love and the Trees, Leaves and Bark book was a great way to search for different characteristics of the trees in our yard. We also have a field guide we picked up at a state park that is helpful because it has more details about the specific trees in our area. I find it pretty amazing that my preschooler can name the type of trees in our backyard when I’ve lived here for almost five years and didn’t have a clue until we learned together. I have to admit that I don’t often slow down enough to notice the little details all around me. We have The Private Eye (recommended by The Homegrown Preschooler) and it’s awesome for being able to inspect leaves and bark and all sorts of things. My 4 year old delighted in seeing the differences in the veins on the leaves we collected. We talked about how the veins carry food and water throughout the leaf and how humans have veins too. Fall is shaping up to be a wonderful season and I can’t wait to see what else nature has in store for us to discover! Do you have a favorite fall activity to do with your kids? I’d love to hear about it! Come chat with me on our Facebook page.